Chrichton's World: Review Tom yum goong a.k.a. The Protector a.k.a. Honour of the Dragon a.k.a. Warrior King (2005): A martial arts extravaganza! Review Tom yum goong a.k.a. The Protector a.k.a. Honour of the Dragon a.k.a. Warrior King (2005): A martial arts extravaganza! Elephants are one of the most graceful and majestic creatures on this planet. And in some parts of the world they are also very important culturally. Especially in Thailand. But like always there are people who don't respect or care for such things and feel entitled to use or rather abuse these creatures for their own disgusting purposes. Tom yum goong tells a tale of such people and their actions towards Kham's brothers, two Thai elephants. A bunch of thugs kidnap these magnificent creatures and Kham played by Tony Jaa does whatever it takes to get them back. BTW Tom yum goong is Thai shrimp soup but also the name of a huge restaurant featured in the film. Above is the whole story and it's all you need since right from the start you will be rooting for Kham and his quest. Tom yum goong is almost non stop action. Very rarely do things slow down or do you have scenes with dialogue. Just enough to intensify the action. The villains in this story are reprehensible and evil. The main villain is Madame Rose played by Jin Xing who is a trans woman. Not that it matters that much but they do briefly show that it's something frowned upon in the crime syndicate Madame Rose is part of. But like in most martial arts films they have goons to spare and all want a piece of Kham. Of course Kham is more than they bargained for. 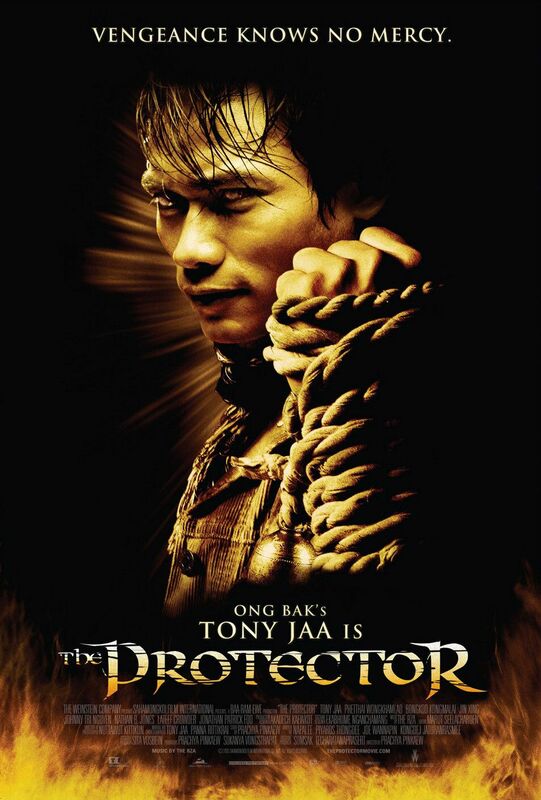 It's a real feast to see Tony Jaa do the things he does. Very reminiscent of a younger Jackie Chan where amazing stunt work is interchanged with incredible fighting skills. Tony Jaa mostly uses Muay Thai but in this he uses his own variation called Muay Kotchasan (elephant boxing). In the film he is facing multiple opponents. The usual generic ones and the extraordinary ones who are specialised in different fighting styles. Like Lateef Crowder as Capoeira Fighter and Jon Foo as Wushu Fighter. Then you have some giants like Nathan Jones who is bigger than The Mountain from Game of Thrones. You may recognize Tom Smoorenburg as one of the many henchmen from his part in the end fight with Jackie Chan in Who Am I? (1998). Apparently he has been able to build up quite a resume playing thugs and henchmen. I saw him in an interview once on Dutch television and he seemed quite arrogant. But seems like he has changed his tune considerably as you can read in this interview. All of the action is of super high quality. It is easily superior to The Raid for example and yet that one gets more praise. The camera work is outstanding especially in the restaurant scene which basically is one long take without edits. In my opinion a real martial arts classic.